Danniebelle Mohabir has been employed at the University of Guyana for over six (6) years. During her tenure as a Senior Assistant Librarian and historian, she has learned to pay keen attention to details and is very organised. Her ability to manage and supervise various departments effectively in the University Library has been commended by her superiors. Danniebelle values effective communication and regularly emphasizes among students and staff, the dissemination of information. Mrs. Mohabir obtained a Bachelors of Arts in History, a Post-Graduate Diploma in Education (Social Studies) and is presently pursuing a Master of Science in Urban Planning and Management at the University of Guyana. 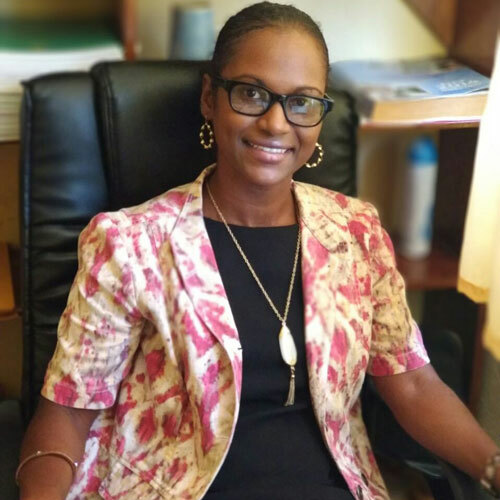 She brings to the University a high level of professionalism and looks forward to working on the renaissance of the University of Guyana.